The G6K library used for our Darmstadt SVP and LWE lattice cryptanalysis records has been made open-source. The first collision for full SHA-1 has won CRYPTO 2017 Best Paper Award and BlackHat USA 2017 Pwnie Award for Best Cryptographic Attack. New improved release SHA-1 collision detection library: protects against twice as many SHA-1 attack classes (disturbance vectors), but is 9 times faster than previous version. Speed is now 1.87 times normal SHA-1. It is currently used among others by Git, GitHub, GMail, Google Drive and Microsoft OneDrive. The General Sieve Kernel and New Records in Lattice Reduction, Martin R. Albrecht, Léo Ducas, Gottfried Herold, Elena Kirshanova, Eamonn W. Postlethwaite, Marc Stevens, accepted at EUROCRYPT 2019. (PDF). On Immutability of Blockchains, Esteban Landerreche, Marc Stevens, ERCIM Blockchain Workshop, 8-9 May 2018, Amsterdam. (PDF). Cryptographic timestamping through Sequential Work, Esteban Landerreche, Christian Schaffner, Marc Stevens, preprint, 2018. (PDF). The first collision for full SHA-1, Marc Stevens, Elie Bursztein, Pierre Karpman, Ange Albertini, Yarik Markov, CRYPTO 2017. (PDF). M4GB: An eficient Groebner-basis algorithm, Rusydi M. Makarim, Marc Stevens, ISSAC 2017. (PDF). Speeding up detection of SHA-1 collision attacks using unavoidable attack conditions, Marc Stevens, Dan Shumow, USENIX Security 2017. (PDF). Refined Probability of Differential Characteristics Including Dependency between Multiple Rounds, Anne Canteaut, Eran Lambooij, Samuel Neves, Shahram Rasoolzadeh, Yu Sasaki, Marc Stevens, FSE 2018 / ToSC 2017. (PDF). New Second Preimage Attacks on Dithered Hash Functions with Low Memory Complexity, Muhammad Barham, Orr Dunkelman, Stefan Lucks and Marc Stevens, SAC 2016, Lecture Notes in Computer Science, Springer, 2016. (PDF). Freestart collision for full SHA-1, Marc Stevens, Pierre Karpman, Thomas Peyrin, EUROCRYPT 2016, Lecture Notes in Computer Science, vol. 9665, Springer, 2016, pp. 459-483, (PDF). Reverse-engineering of the cryptanalytic attack used in the Flame super-malware, Max Fillinger, and Marc Stevens, ASIACRYPT 2015, Lecture Notes in Computer Science, vol. 9453, Springer, 2015, pp. 586-611, (PDF). Practical free-start collision attacks on 76-step SHA-1, Pierre Karpman, Thomas Peyrin, and Marc Stevens, CRYPTO 2015, Lecture Notes in Computer Science, vol. 9215, Springer, 2015, pp. 623-642, (PDF). Counter-cryptanalysis, Marc Stevens, CRYPTO 2013, Lecture Notes in Computer Science, vol. 8042, Springer, 2013, pp. 129-146, (PDF). New collision attacks on SHA-1 based on optimal joint local-collision analysis, Marc Stevens, EUROCRYPT 2013, Lecture Notes in Computer Science, vol. 7881, Springer, 2013, pp. 245-261, (PDF). Attacks on hash functions and applications, Marc Stevens, PhD thesis, (PDF). Defended on June 19, 2012. Single-block collision attack on MD5, Marc Stevens, Cryptology ePrint Archive, Report 2012/040, (PDF). More information can be found on: http://marc-stevens.nl/research/md5-1block-collision/. Chosen-prefix collisions for MD5 and applications, Marc Stevens, Arjen Lenstra and Benne de Weger, International Journal of Applied Cryptography, Vol. 2, No. 4, 2012, pp. 322-359, (PDF). Short chosen-prefix collisions for MD5 and the creation of a rogue CA certificate, Marc Stevens, Alexander Sotirov, Jacob Appelbaum, Arjen Lenstra, David Molnar, Dag Arne Osvik, Benne de Weger, CRYPTO 2009, Lecture Notes in Computer Science, vol. 5677, Springer, 2009, pp. 55-69, (PDF). Chosen-Prefix Collisions for MD5 and Colliding X.509 Certificates for Different Identities, Marc Stevens, Arjen Lenstra and Benne de Weger, EUROCRYPT 2007, Lecture Notes in Computer Science, vol. 4515, Springer, 2007, pp. 1-22, (PDF). On collisions for MD5, Marc Stevens, Master's Thesis, 2007, (PDF). Fast collision attack on MD5, Marc Stevens, Cryptology ePrint Archive, Report 2006/104, (PDF). Efficient doubling on genus two curves over binary fields, Tanja Lange and Marc Stevens, Selected Areas in Cryptography, Lecture Notes in Computer Science, vol. 3357, Springer, 2004, pp. 170-181, (PDF). Google Junior Faculty Applied Research Award in Security, Privacy & Anti-abuse. Awarded $50k research gift to support my research in recognition of my work in Cryptanalysis, in particular related to SHA-1. Martinus van Marum Prize 2013. 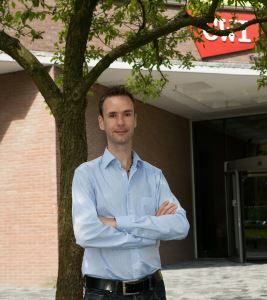 Yearly prize from the J.C. Ruigrok Stichting awarded by the Royal Holland Society of Sciences and Humanities (KHMW) to a reseacher for his PhD thesis and other publications consisting of the KHMW 'Optimus Meritis' medal of honor and 12,000 euros. TU/e Afstudeerprijs 2008. Yearly prize from the Technical University of Eindhoven for the best Master's Thesis university-wide. See also My GitHub repositories page. G6K: The General Sieve Kernel. M4GB: An efficient Groebner Basis algorithm. fplll-extenum: An external enumeration library for fplll that is more efficient and supports multithreading. Counter-cryptanalysis: a reference implementation of collision detection for MD5 and SHA-1.